Dimensions 1.75 by 9 by 11.50 in. International finance; Law and legislation. 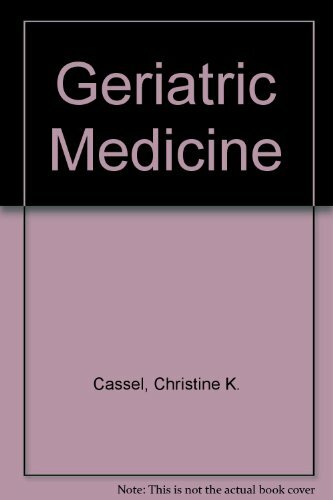 Amazon.com description: Product Description: Reorganized into a single, tightly focused volume, the new edition of Geriatric Medicine offers practical, authoritative, and comprehensive coverage of the diseases, common problems, and medical care of older persons. The thorough revision includes new chapters on "Urinary Incontinence" and "Falls" as well as expanded discussions of rheumatic/orthopedic disorders and neuropsychological testing. Particularly noteworthy is the superb chapter on "Dementia"; written by a neurologist and a psychiatrist, it provides a remarkably complete account of the dementing disorders. The book also reviews central issues in health care systems and policies, including the unique legal aspects of caring for older persons and the rising importance of home care. About: Successful theatrical productions are a team effort and require the close cooperation of the playwright, producer, director, designers, and actors.